Finding the right laptop bag is not always easy. Today we not only bring a laptop with us, but many accessories and other portables devices such as tablets and phones. Let’s see how the Bowery laptop briefcase can accomplish the task. The Bowery laptop briefcase is offered in two sizes that can hold either a 13’’ or 15’’ laptop, and can be found in two colors (navy or graphite). 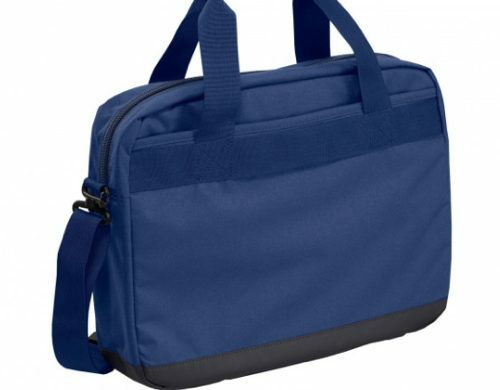 The main compartment has two pockets made of protective foam: a large one for a laptop, and a smaller one for a tablet. The rest of the inside is filled with unpadded pockets to store power bricks, cables and other items. On the front of the bag, a small pocket can be used to store your phone, while the back has a zippered pocket to put documents in. 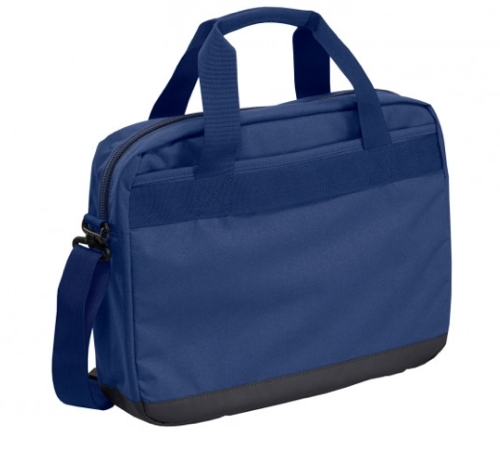 The build material for this bag is of excellent quality and looks very resistant. 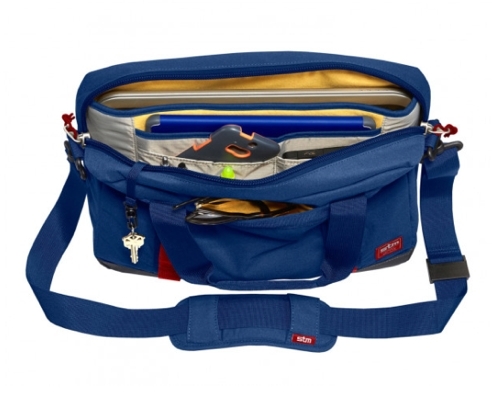 The bag has handles and a shoulder strap you can use when traveling. A few improvements could be done to it, though. For instance, when I place the bag along a wall with my electronics in it, it tends to slip flat on the floor. A simple rubberized material on the bottom could prevent this. Talking about the bottom of the bag, another thing I would have appreciated is a better padding. A few times when I was in a hurry and dropped the bag on the floor, I heard a sound of my gear reaching the floor in an unwanted way. 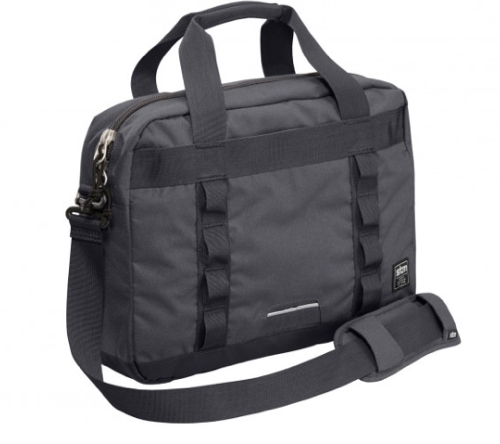 I can carry all I need when I’m traveling with my laptop and other electronics with this bag. If the suggestions I made before had been implemented, Bowery laptop briefcase would have been even better.